A dental Implantis an equivalent of a tooth root, it is embedded in the bone of the mandible or maxilla and poses a pillar for prosthetic reconstruction, such as crown, bridge or denture. A dental Implants abroad are the only solution in dentistry, which does not mask the lack of a tooth, but forms properly functioning and well-looking new tooth. Implants in Prague are made of titanium. This material is completely biocompatible, and thus the body recognizes it as its integral part. Can anybody have the Implants installed? Can I be sure that the Cheap Implants in Prague will be a success? Typically, the degree of success is 98% and depends on the place of implantation. With proper care and adequate postoperative oral hygiene, implants can serve the patient for life. 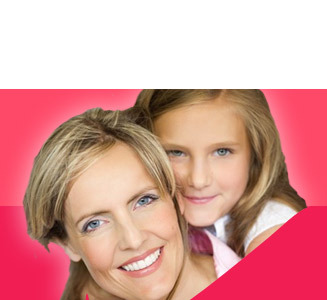 Most of the dental implants in the Czech Republic and dental implants in Poland are performed under local anesthesia. With modern treatment techniques and anesthesia, most patients report no discomfort during the procedure. After the treatment, slight pain and discomfort can be alleviated with painkillers. What happens if I do not have sufficient Bone structure for the procedure? In today's dentistry, there are effective methods for bone level augmentation in order to perform proper implementation, stabilization and maintenance of the Dental Implants. So you do not have to resign from Implants, if your bone is not sufficient. Dental implants have been used for 30 years. From the moment of implantation, they may be with a patient for life, depending on how they are cared for. Like any supplement, your implanted tooth may be damaged by an injury, periodontal disease or improper oral hygiene. After preparation of the treatment plan, the proper implantation treatment is performed. The procedure is performed under local anesthesia. The implant is implanted into the bone in the place of the missing tooth. During the healing of the jaw, a new bone "grows" around the implant (Osseointegration) which safely and effectively stabilizes the implant in the jawbone. 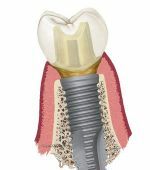 After the process of osseointegration, the implant is attached to an element called a post, whose task is to hold a new crown, bridge or denture. Impressions for the prothetic work are taken, and finally the crown, bridge or denture is placed. Dental implants require the same care as natural teeth, including brushing at least twice a day, flossing and twice a year visit to the dentist and the removal of tartar (scaling).